Configuration Manager | The IT Melting Pot! Another great post from Niall C. Brady, keep up the great job! Wouldn’t it be great to have a complete solution from Microsoft that handles all the configuration capabilities of most enterprise OS’s like Windows, Linux distributions as well as Mac OS X? Microsoft are at least doing a great job working towards a more complete offering! In this post I will show you how to install the Linux client on a popular Linux operating system (Centos 6.4) and do some basic actions like hardware and software inventory in System Center 2012 R2 Configuration Manager. This guide assumes you have already installed your Linux server and are ready for the next step. If you have not installed it yet just download the Live CD from here and boot from it, choose the option to Install to hard drive once the os has booted to the desktop. If you did click on the link it would bring you here so go ahead and download those client files. 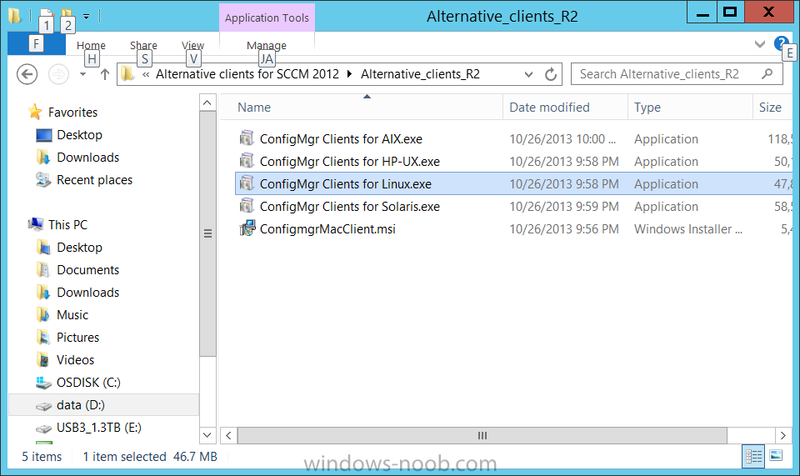 On the computer you downloaded the alternative client files, locate the Linux client exe file and extract the contents somewhere local by double clicking on the ConfigMgr Clients for Linux.exe file. Beware before upgrading to SP1. SCCM does not support database mirroring and if you’ve configured it don’t just try to upgrade! Thx @agerlund! As stated here SQL mirroring is not supported for the ConfigMgr database. However a technet article do not stop all database administrors’s from enabling the setting anyway believing that it will not cause any issues – but boy it does. SQL mirroring will break the SCCM SP1 upgrade process and leave the primary site server in a non-functional mode where a site restore is the only way back. The issue can be found in the ConfigMgrSetup.log file. This is really interesting, I bet that there are so many companies and architects out there sitting with X amount of different MDM and MAM solutions just to fit their needs around device and application management. But there are few out there that are covering all the OS’s and device types in a good manner. 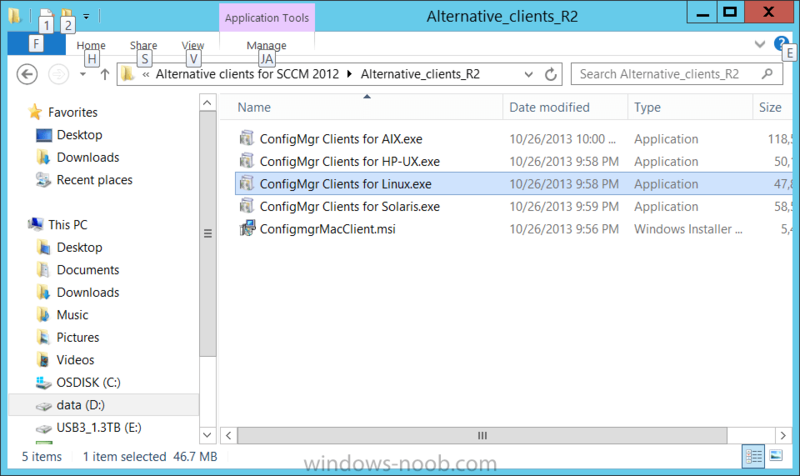 Is SCCM going to try and tackle this at least for the MS, Linux, UNIX and OS X devices? And will they succeed all the way, don’t think so short term but long term perhaps. So now we architects have something to look forward to when planning our wanted position in this area and start evaluating the options for the roadmap towards it! Apple Macintosh ClientThe Mac client can be installed on computers that run Mac OS X and provides capabilities to deploy software, collect hardware inventory, and to manage compliance settings.For more information, see How to Install Clients on Mac Computers in Configuration Manager. Client for Linux and UnixThe client for Linux and UNIX can be installed on servers that run a supported version of Linux or UNIX, and provides capabilities to deploy software and collect hardware inventory.For more information, see How to Install Clients on Linux and UNIX Computers in Configuration Manager. Windows Embedded Client Deployment: You can deploy clients to embedded devices in the same way that you deploy clients to other Windows-based computers.For more information, see the Deploying the Configuration Manager Client to Embedded Devices section in the Introduction to Client Deployment in Configuration Manager topic. And you guys that want a nice summary of the whole System Center SP1 suite have a look at this great summary from Thomas Maurer! Ok, this is interesting! 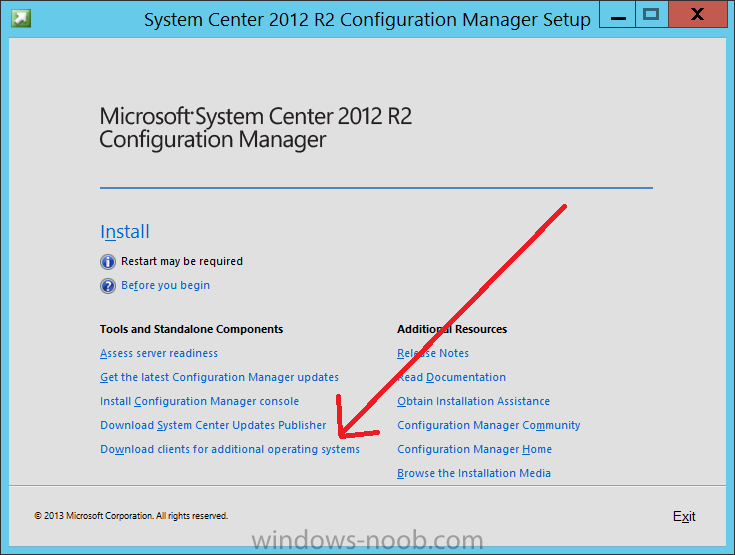 Microsoft is adding more support for Configuration Manager in terms of managing Linux and UNIX targets. It will be interesting to see what the end-result will be when SP1 ships and most interesting will be if Microsoft will be able to convince the Linux and UNIX community out there that this is something that is competitive with other solutions like Puppet, Chef, STAF etc.